Artist Unplugged: Scenes from the past two days....Merry Christmas! I hate that it's been crazy busy so I've not posted. It's less than an hour until midnight - Christmas Day soon! 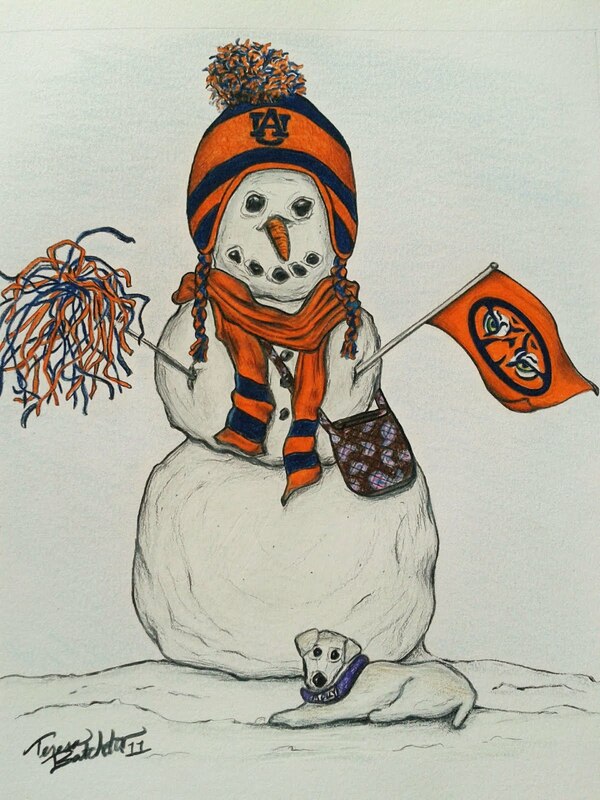 Wanted to wish everyone a blessed, safe and memorable Christmas. Hoping all has been well, look forward to catching up very soon. The snowman was commissioned for a gift, picked up yesterday. Celebrated my great nephew's 7th birthday last night before my side of the family's Christmas celebration. Yesterday was a poignant day - would have been my parent's 61st anniversary, would have been my mom's 81st birthday, Dudley came to our home 11 years ago on my parent's 50th anniversary. So blessed that Finn (Finnegan) was born on my mom's birthday....something to keep celebrating! 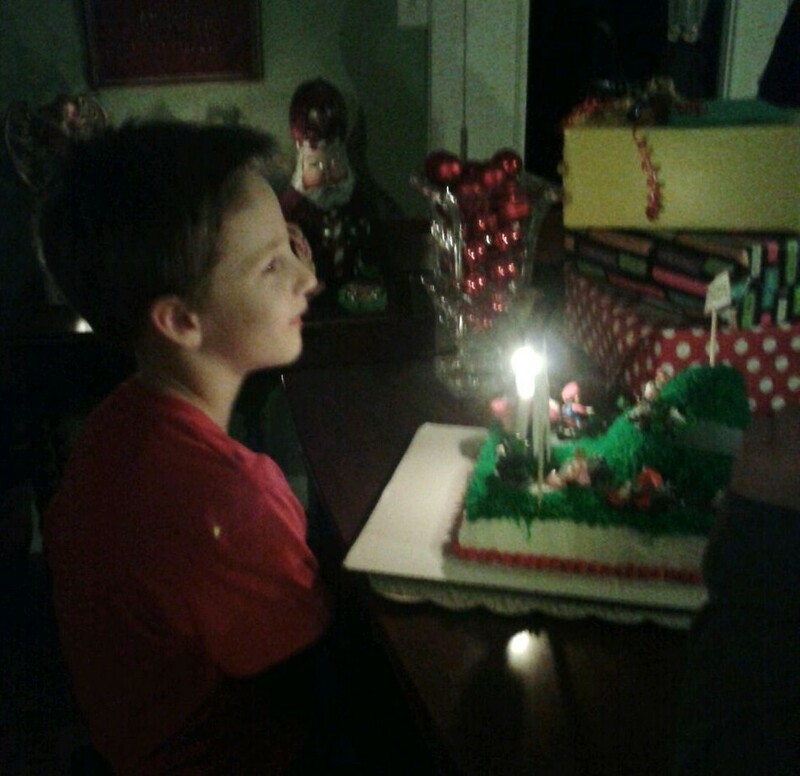 He's into Mario Kart and I had never made a birthday cake for him cause it's so busy this time of year. 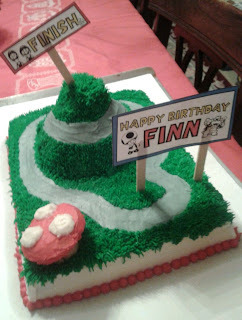 I've always made his brother's cake in July and this year I was determined to make Finn's! 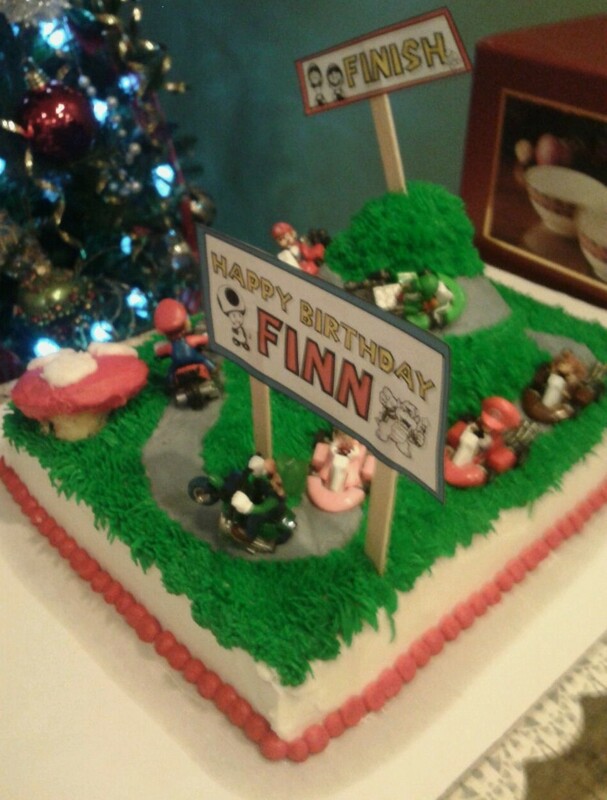 My niece had the little toy figures for the cake and Finn insisted they ALL were put on and luckily they fit! A joy to do! 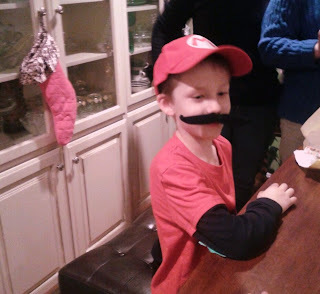 We gave him the Mario cap and mustache! 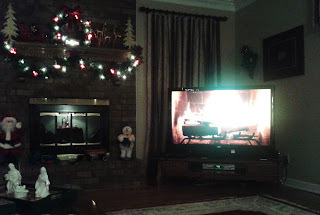 A bit difficult to see but the cracklin' fire with Christmas music on Netflix is actually pretty awesome in our den! Occasionally when I am waiting for something in the oven I get to sit down for a minute and enjoy it! 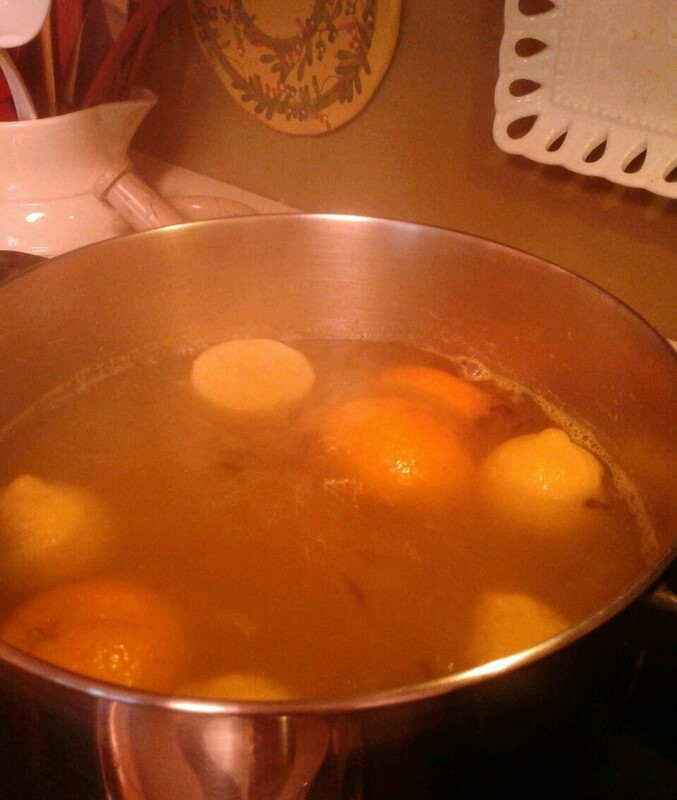 One of my favorite traditions growing up - Russian tea, made with lemons, oranges, cloves, cinnamon, sugar and of course, tea! Wouldn't be Christmas without it. 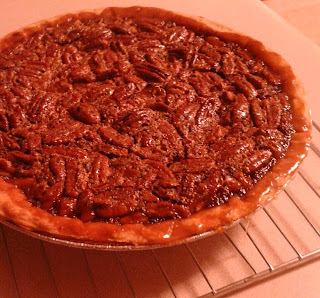 Last thing I baked tonight....pecan pie, my favorite pie. Found this chocolate macaroon recipe in a magazine last year!!!! 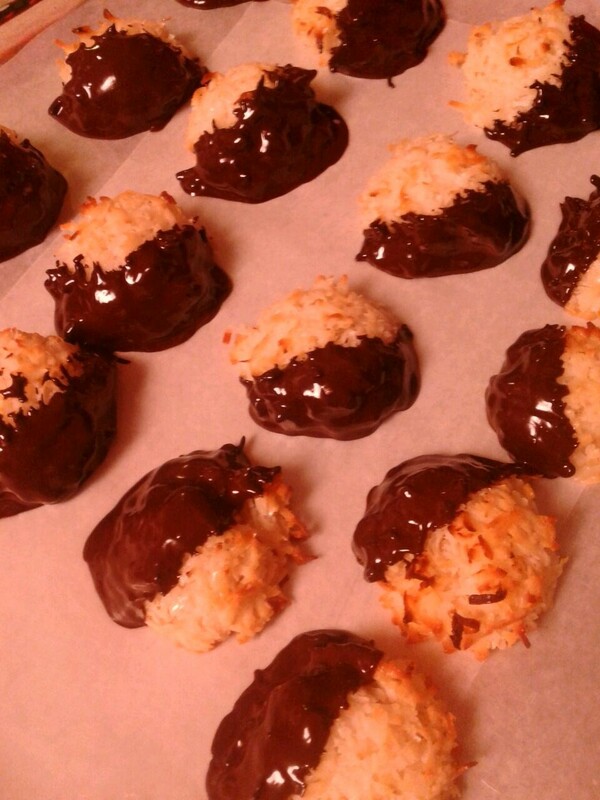 If you love toasted coconut, you'll love this. Volleygirl has taken this task on....yes! 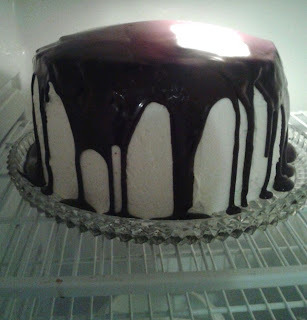 Been planning this cake to take to my in-laws since I first saw it on a friend's facebook post last summer. 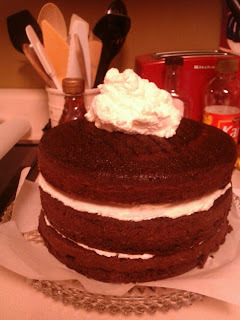 A Tuxedo Cake..........chocolate cake layers....very tall! 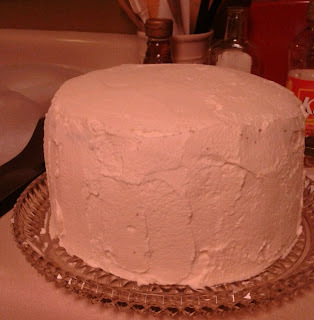 Icing is just heavy whipping cream with confectioner's sugar. Just finished it!!!!!!!! Made the glaze after returning home tonight....was nervous it wouldn't turn out right.........love it! The glaze is yummy. Had to find Lyle's Golden Syrup....thankfully did...it's an English syrup. Hope the in-laws like it. Now, for some more art - BigBoy drew this for his grandmother in color pencil. I had a great gold frame for it and he put it in before I got a photo. That's why you see the white reflections off the glass in the red suit. Well, I am literally ho-hoed out...to bed, to bed said sleepy head. God bless you all! Wow, look at all those delicious confections! And such heartfelt happenings and remembrances on those dates. Big Boy's drawing is fantastic! The apple didn't fall far from the tree. As a Canadian, Lyle's golden syrup was what we always used on our pancakes. It's delicious! Wow, lots of baking going on there. Love the art and your header is perfect. wow - all that baking and that cake looks amazing! love BB's drawing - he is so good!!! Looks as if you were ready for a wonderful celebration. I do hope you had a lovely Christmas. Your cakes are always so fantastic! Love that painting BB did. He's really very good! 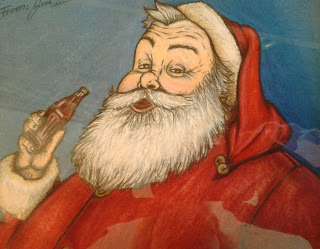 All deliciously wonderful -happy and healthy and arty 2012 to you all! It looks like a scrumptious time at your place! Happy New Year to you! Look forward to your posts in 2012!